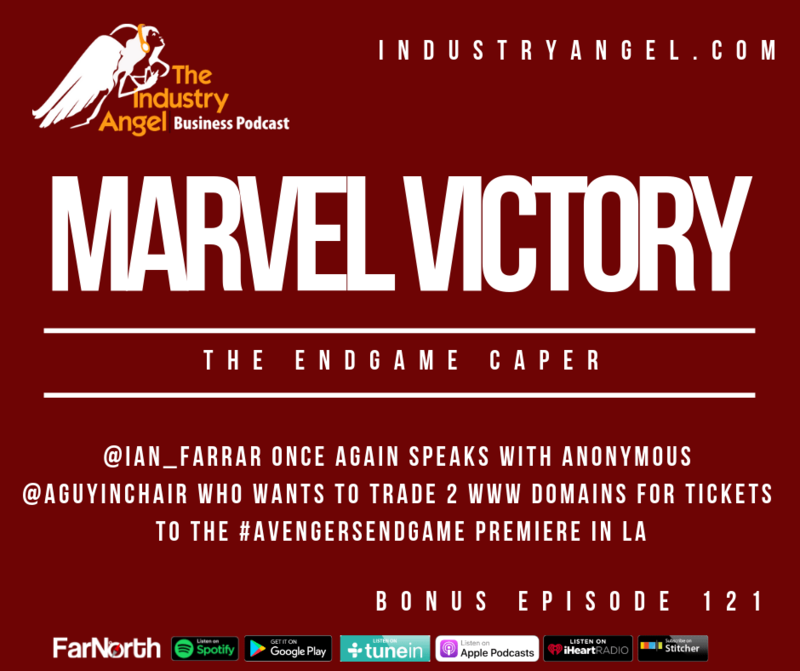 Ian hooks back up with @AGuyInChair about Punking Marvel with his #EndgameCaper. Victory is his! He owns http://avengersendgame.com & http://avengersendgamemovie.com . But he doesn't want them. He wants to trade them for tickets to the #AvengersEndgame premiere in LA!